This was considered by Falmouth Town Council Planning Committee on Monday 3rd April. ​It is therefore really important to submit your objections to the county council asap. 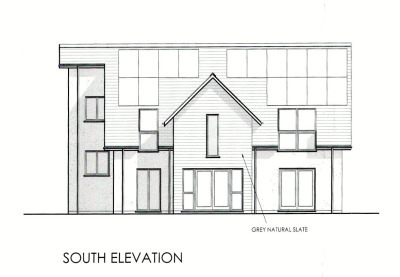 Falmouth Civic Society objects strongly to this proposed development. It is totally inappropriate and out of character in the setting of the historic Grade 2* Marlborough House and other surrounding historic houses. This is back garden development of the worst kind. There is no proper access, except for the lane down to Marlborough Cottage. Another access to be made, according to the plans, is right up to the boundary of the neighbouring bungalow. Construction traffic would be a danger to the near by Marlborough School. This housing is not needed; it is not identified in Cornwall Council's allocations document nor in the emerging Neighbourhood Plan. The plot is close to the SSSI of Swanpool Lake and the impact of the view from there would be negative. It fails as sustainable development, as there are no economic or social benefits to the town. Swanpool, a coastal saline lagoon (Brackish Lake), in Falmouth, is the only location in the British Isles at which Victorella pavida (tremling sea mat) is found, it is protected under Schedule 5 of the Wildlife and Countryside Act 1981. Sites of special scientific interest (SSSIs) are protected by law to conserve their wildlife or geology. Swanppol is a designated SSSI site. 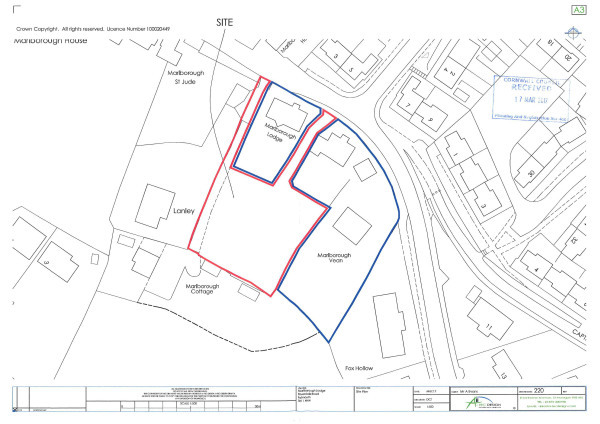 This planning application lacks a Construction Environment Management Plan (CEMP) which should be essential due to the proximity to the Swanpool and the probability of run off from the site reaching the SSSI. This CEMP needs to include a detailed environmental monitoring programme that can be used to assess the effectiveness of any pollution prevention measures and identifies and implements any necessary remedial steps in a very timely way that would need to be taken in the event of a pollution incident. The loss of green space is to the visual detriment of the character of the area, eroding the landscape. This site is located within Flood Zone 1 and also within the Falmouth Critical Drainage Area and therefore at least a Flood Risk Assessment should be provided.